Talk Ultra All about running. By runners, for runners. 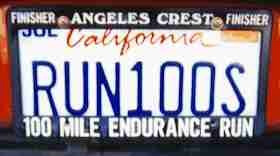 UltraRunning Magazine News, Races, etc. ULTRAmarathonRunning Trail, mountain, desert events, etc. Ultrarunning: just what is an ultra? International Trail Running Assn. trail running org. Team CRUD: Pikes Peak, etc. USA Crossers: run across America?